You'll be £12.99 closer to your next £10.00 credit when you purchase Foul Deeds and Suspicious Deaths in Southampton. What's this? Order within the next 6 hours, 24 minutes to get your order processed the next working day! 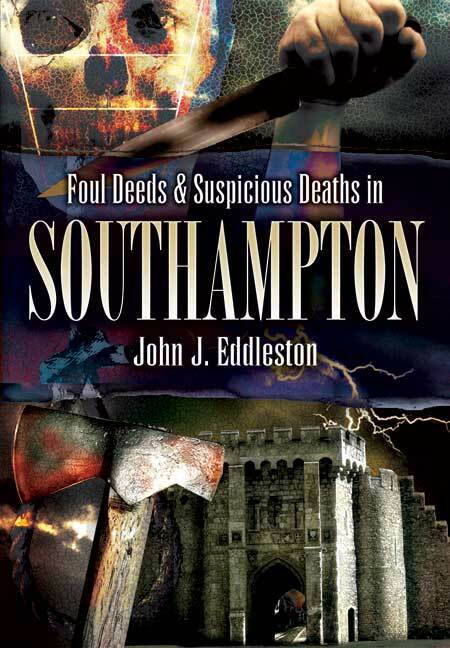 The criminal cases vividly described by John Eddleston in this gripping book take the reader on a journey into the dark secret side of Southampton's past. The city has been the setting for a series of horrific, bloody, sometimes bizarre incidents. There is the story of Augustus John Penny who shot his mother to death while she was lying in her bed after discovering that she had come into money and refused to pass any on to him. There is James Camb who was convicted of murder even though the body of his victim, an actress, was never found. And there is the case of Michael George Tatum, the only British killer of the twentieth century to use an African club as his chosen weapon of murder. But perhaps the most intriguing case is the Southampton garage murder of Vivian Messiter in October 1928. In spite of masterful police work, there was an eighteen-month delay before the killer, William Henry Podmore, finally paid the price for that brutal crime on the gallows. John Eddleston's selection of cases from Southampton's criminal history will be compelling reading for anyone who is interested in the sinister side of human nature.